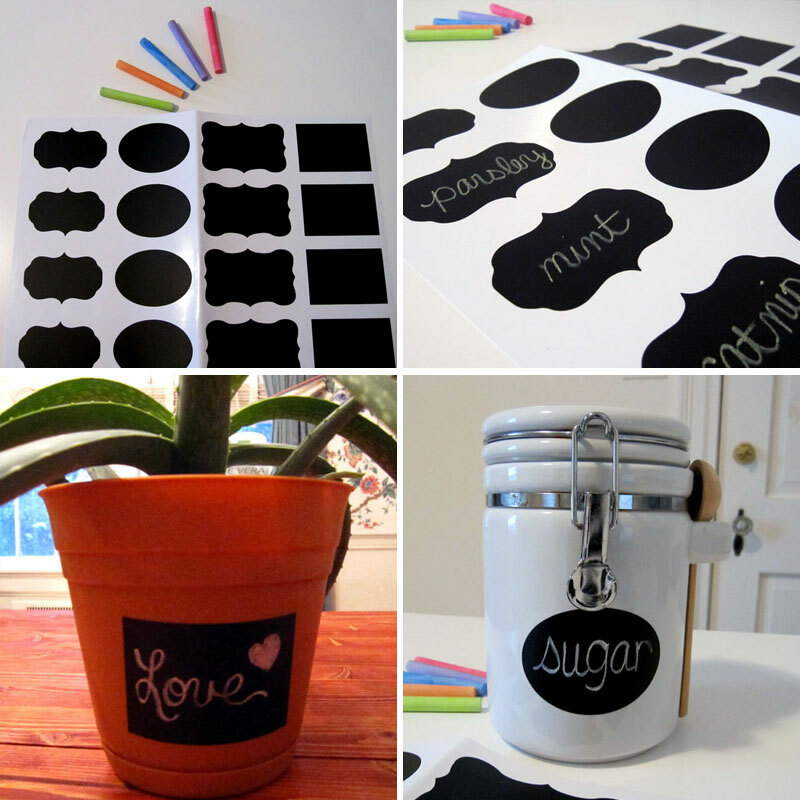 Reusable chalkboard labels are a quick and inexpensive way to dress up storage bins, mason jars, and gifts. If you need to change the contents of what you’ve labeled, you can just erase the writing and start again. I received a set of 48 Chalkboard Labels by Kanvas. The labels arrived in a flat shipping envelope and were packaged in clear cellophane. The labels are divided into large sheets with 4 columns of labels. Each label is 3-3.5 inches x 2 inches. The chalkboard surface is smooth, but there’s enough texture for writing. I found that it was easier to cut the labels into smaller sections prior to peeling them off the sheet. Because the chalk is erasable with a wet paper towel, I can easily change out the writing. The labels are waterproof, too. This is a huge plus! We recently planted several seed packets of herbs. Once the plants are ready to be transferred to pots, the labels will work great for identifying each plant. The square labels can be cut into smaller sizes to fit some of my smaller pots. I think the oval labels look great on my basic white canisters. I plan to use more of the labels on some of my glass containers and clear plastic bins. If you’re interested in learning more about chalkboard labels by Kanvas, you can find them on Amazon. What ideas do you have for using chalkboard labels to get organized or for creative projects?